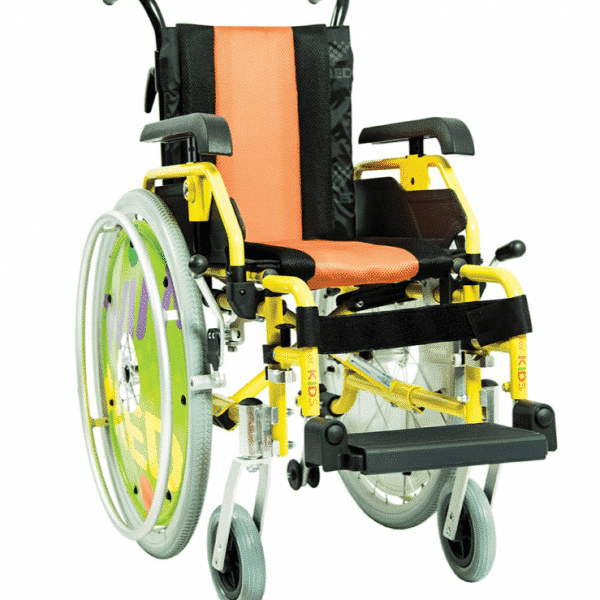 Kids wheelchair with fully adjustable aluminium frame for self-propelling / autonomous movement. Fully adjustable, aluminum, lightweight. Full back wheel with aluminum handrail , front wheels in 10 cm Pu. 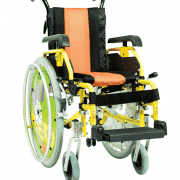 The backrest is lined with a breathable fabric, and has tensile bands. 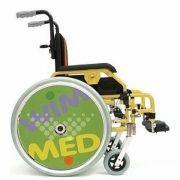 The wheelchair is equipped with padded desk-lung armrests with ABS brace, with handle extension brakes, and push handles are adjustable in height. Anti “roll over” wheels. Available in 2 seat sizes ( 30 or 35 cm ).